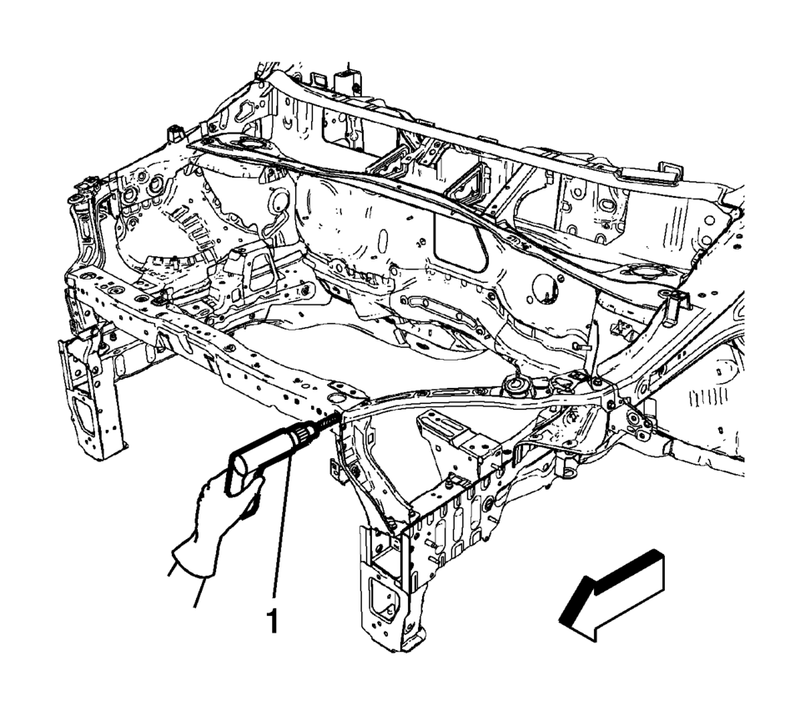 Locate and mark all the necessary factory welds of the front upper tie bar assembly. Drill all factory welds. Note the number and location of welds for installation of the service assembly. 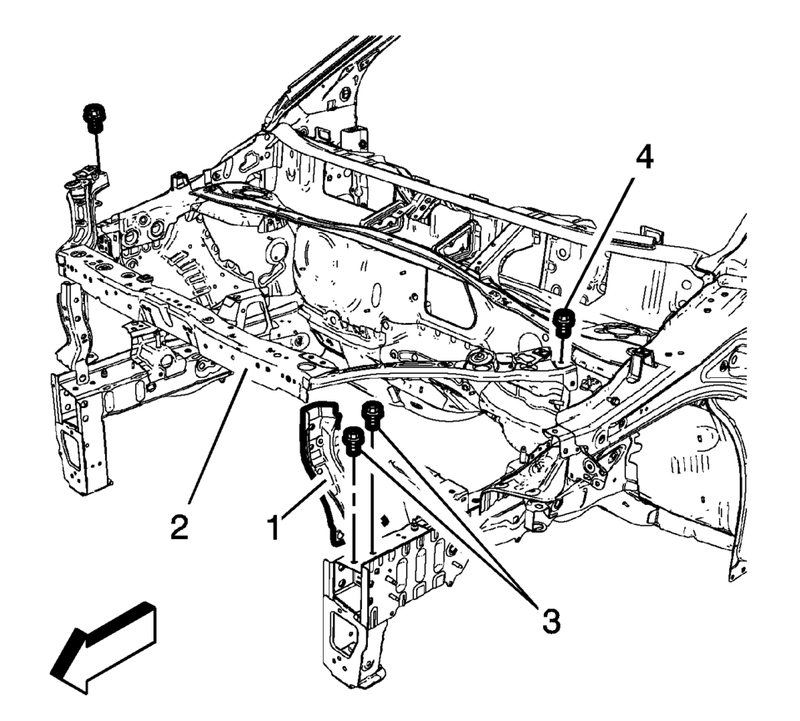 Remove the front end upper tie bar support bolts (1) and front end upper tie bar bolts (2). 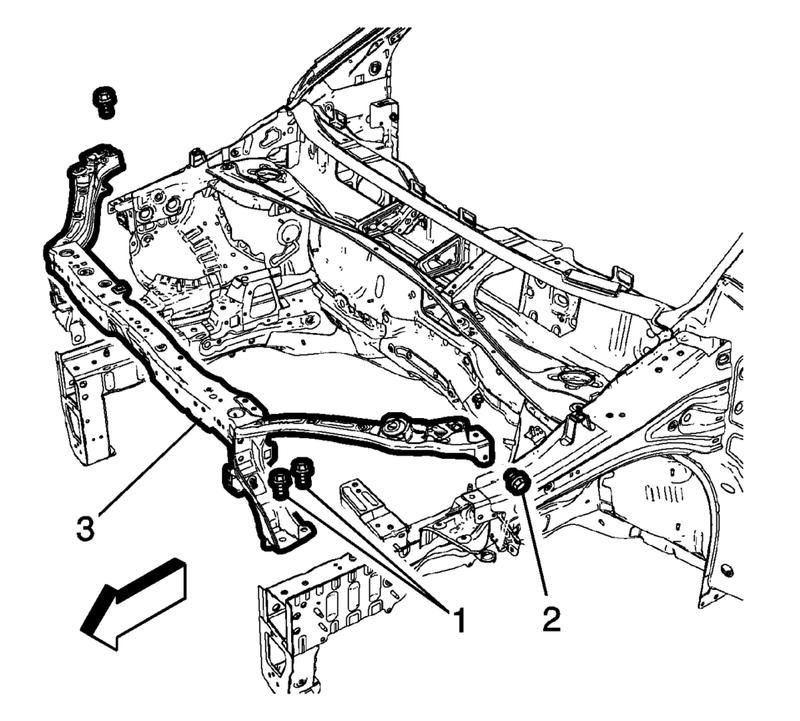 Remove the front end upper tie bar assembly (3). Drill 8 mm (5/16 in) plug weld holes as necessary on service parts, in the locations noted from the original assembly (1). Clean and prepare the mating surface for welding, as necessary. 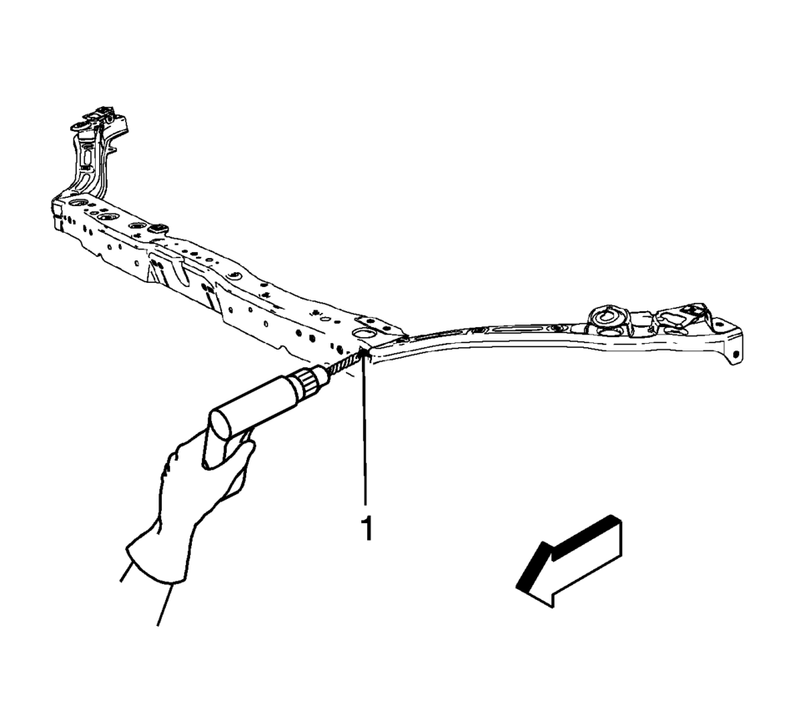 Verify the fit of the front end upper tie bar. When the service assembly is correctly positioned, plug weld accordingly (1). Measure frequently to ensure proper fit and alignment. Clean and prepare all welded surfaces.